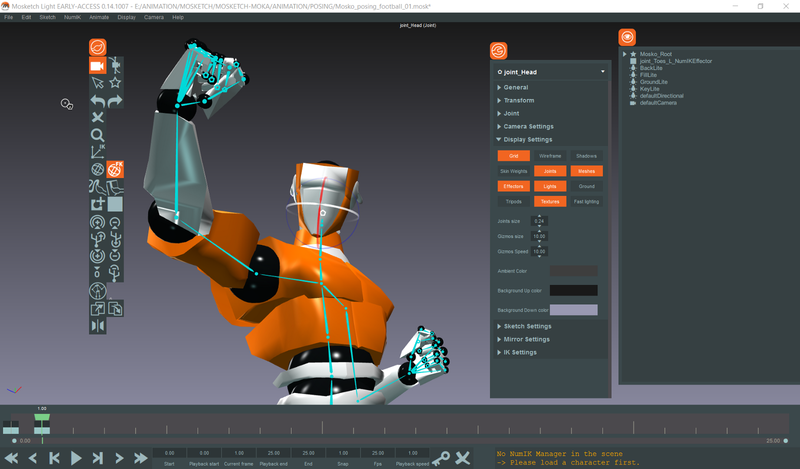 Martigny, Switzerland (3rd May 2017) — Moka Studio has launched its new software Mosketch™ Light in Early Access. The software is now available on its website www.mokastudio.com. 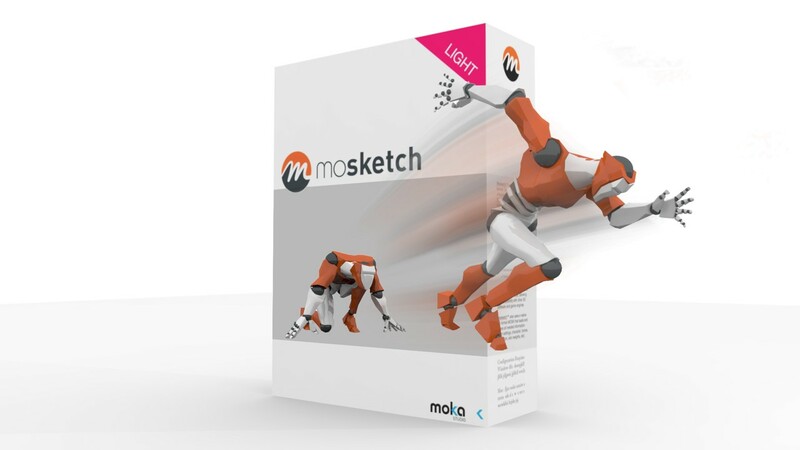 Mosketch™ Light reinvents the way 3D animations are created. It by-passes the tedious and often technical process of creating so called control-rigs, which traditionally are used to animate 3D models. With Mosketch™ the artist is empowered to control the full cycle of production. 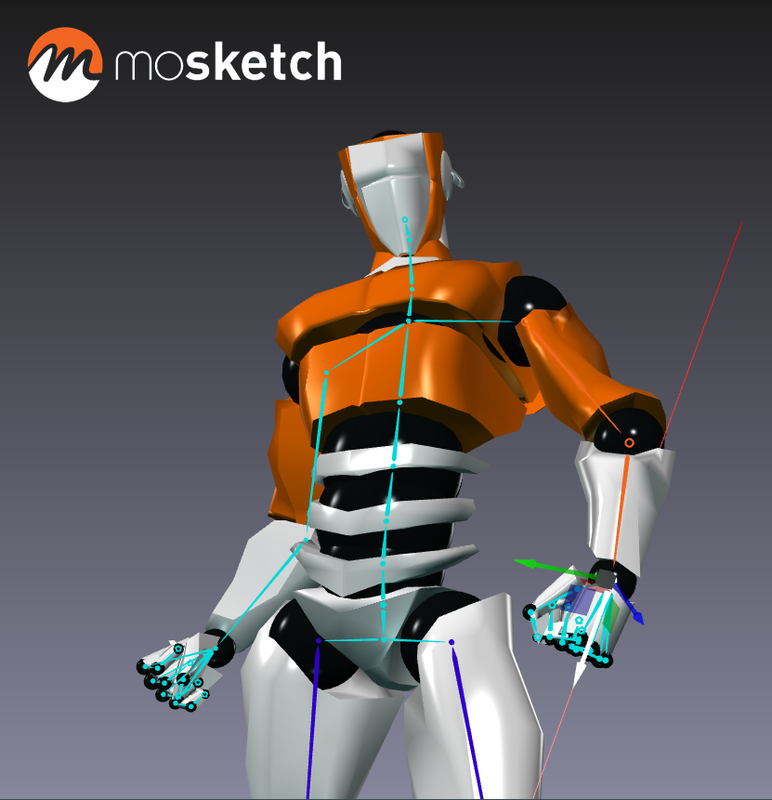 It is as easy as creating a 3D model, importing it in Mosketch™ and starting animating by intuitively sketching poses. 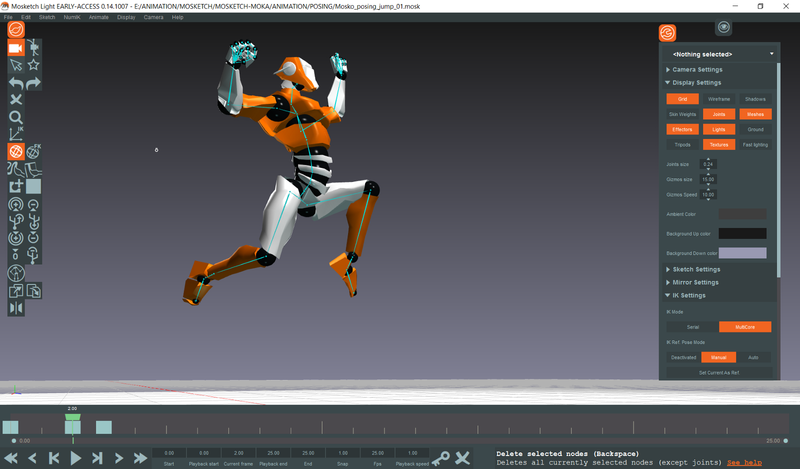 Mosketch™ also simplifies the animations methods by providing simultaneous access to Forward and Inverse Kinematics. The result is a tremendous gain in efficiency boosting the artist’s performance by at least 300%. True innovation in the animation space is rare. Most of the advances that constitute the core of almost modern animation pipelines happened years ago. Whilst it is still early days for Mosketch, it’s clear they have something fresh and distinct to add to an animators workflow. Like all good ideas, after a while it appears to be such an obvious advance you find yourself wondering why this fluid, intuitive and expressive technique hasn’t been a staple of the animators toolkit for years. Nick Craig — Studio Manager — Codemasters Birmingham — Responsible for the BAFTA award winning Formula 1 franchise.